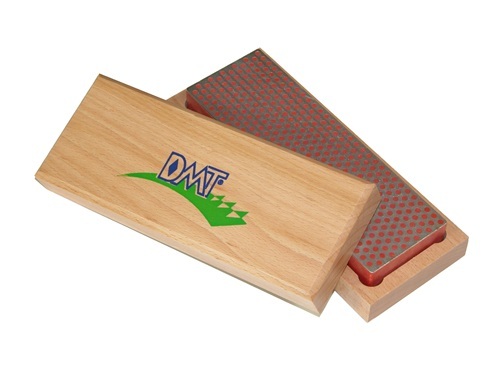 A popular sharpening choice, this DMT® Diamond Whetstone™ sharpener is a fit at home or in the shop offering a sharpening surface to satisfy a variety of edge care needs. This 6" Diamond Whetstone™ sharpener comes in a hardwood case with mounting capability. Includes non-skid rubber feet. The stone measures 6" x 2" x 3/4".